iOS 11/12 Slow on iPhone 6? 6 Tips to Make It Run Smoothly! iOS 11 and iOS 12 have some new and exciting features but unfortunately, older iOS devices such as iPhone 6/6S tend to run slow after updating to iOS 11/12. There could be a number of reasons why iPhone 6 runs slow on the updated firmware. Fortunately, there are some ways to fix it. Following are some tips to speed up iOS 11/12 performance, all of them can be used for iPhone X/8/7/6s/SE/6/5s/5/4 and all models of iPad. 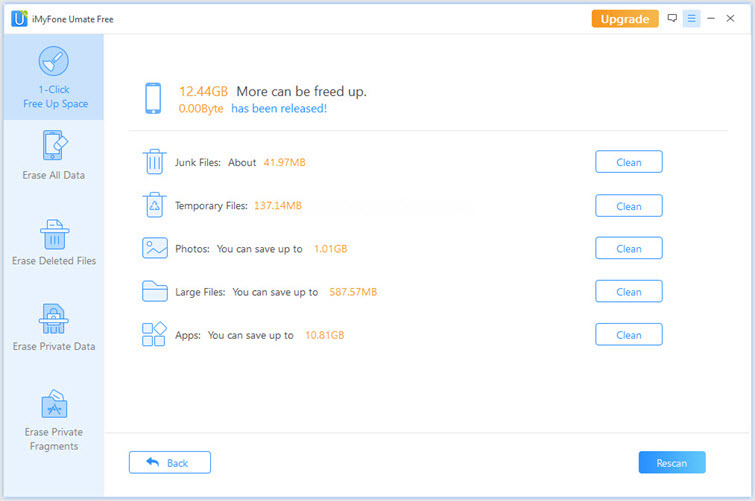 iMyFone Umate Pro is a professional software that you can use to clear junk/temp files from your iPhone 6 and speed up its performance. 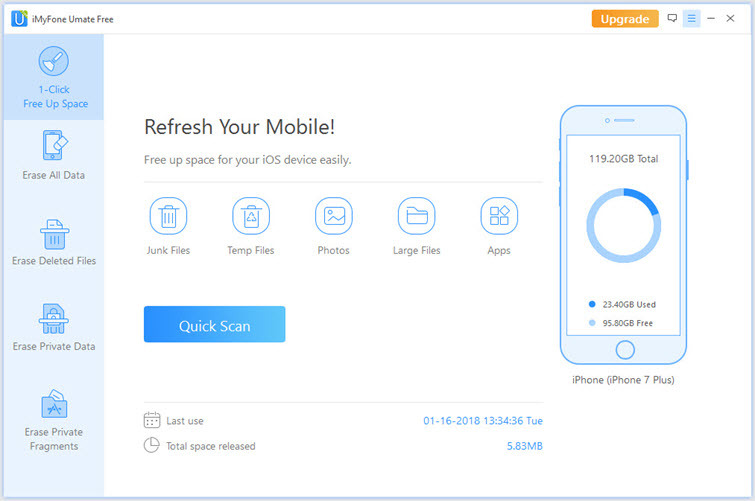 It scans your iPhone with advanced space-cleaning analysis and allows you to free up space with one click. There are many features of this software. Clear junk/temp files in any iOS devices running iOS 11 with one click and speed up its performance. Optimize iOS performance by compressing large photos, clearing useless files and large files. Umate Free can also scan and wipe incomplete data traces left by third-party apps. Wiping such data not only frees up space but also boosts iOS performance. Step 1. Connect your iPhone to your Mac/Windows computer and launch iMyFone Umate Pro. Step 2. The home interface of iMyFone Umate Pro will be shown now. Click "Quick Scan" to begin a complete space-saving analysis. Step 3. After scanning, the next interface will show the storage occupied by junk files and temporary files. Click on Clean button beside them to clear. Then you will find that even you update to iOS 11/12, your iPhone 6 can still work smoothly as normal! Previously deleted data is actually still saved on the device. iMyFone Umate Pro erases them all with no chance of recovery. All you to preview data, so that erase your data selectively. Permanently erase traces/fragments of third-party apps to avoid privacy leak. A lot of iOS users restart their iOS devices when something goes wrong. A normal restart sometimes proves to be useful as it clears RAM and cache and fixes the device slowdown. However, it doesn’t always work. If that is the case with you, then it is recommended that you hard reset your device to fix the “iOS 11/12 Slow on iPhone 6”. Even Apple suggests it. Force reboot, hard reset, force restart, they are all different names for the same thing. Press the Sleep/Wake button of your device and hold it. Press the Home button of your device and hold it. Keep holding those two buttons for at least ten seconds. An Apple logo will appear on the screen. When it does, let go of the buttons. The hard-reset process will start. When it comes to fix iOS 11/12 slow on iPhone 6 issue, you can try to reset all settings as this has proven to improve performance for many users. 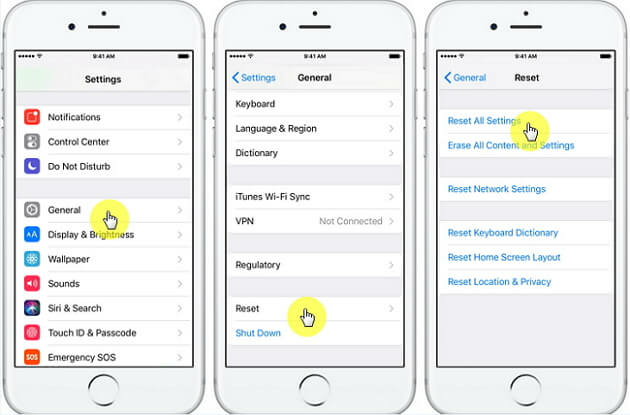 Resetting iOS system settings will not erase your data such as your photos, videos, music, notes, etc. Instead, it will simply reset your custom settings to default. 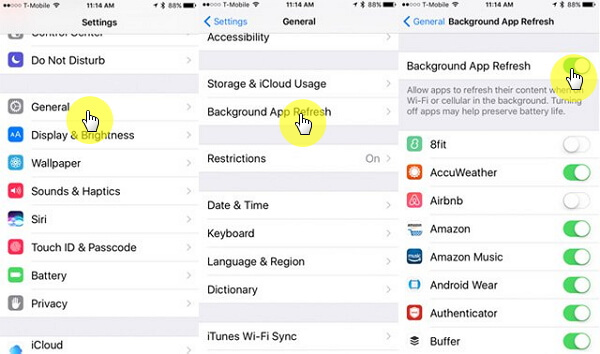 Open Settings app on your iPhone 6. Navigate to Reset > Reset All Settings. Now input to your password and then confirm your action on the pop-up window. The reset process will begin. Apple admits that they release updates that cause the iOS devices with older batteries to slow down and reduce their performances. According to Apple, they do this to prevent unexpected shutdowns of iOS devices that have older/worn out batteries. A relatively older battery cannot handle the processing demands as they do when they are new. The problem of slowdown is directly associated with the older/flagging battery. So, if you want your iPhone 6 to run faster as it should with the new iOS 11/12 update, it is recommended that you replace your old battery with a new one. Apart from updating when you use your iPhone apps, these apps also refresh their content in the background when you are not using them. Some of the common apps that do this include Twitter, Facebook, etc. They update their feed automatically in the background without asking your permission. This background refresh process takes up CPU resources and may cause the iOS 11/12 slow down iPhone 6 issue. Navigate to General > Background App Refresh. Now use the toggle to switch this feature off. Alternatively, you can also disable Background App Refresh feature for individual apps. Transparency and motion effects are added in the iOS by Apple to enhance your overall user experience. You can see these effects in action when you open and close apps, tilt your device, etc. 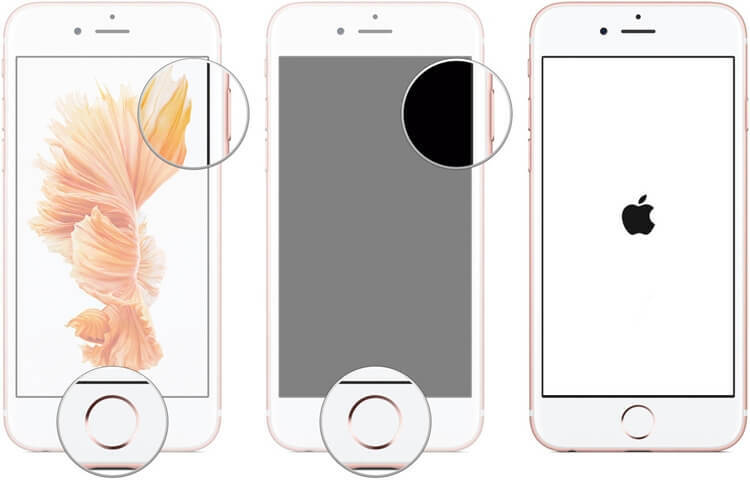 However, older devices such as iPhone 6/6S may slow down due to these enhanced effects. So, if you want to improve your device’s performance then it is recommended that you turn these features off. 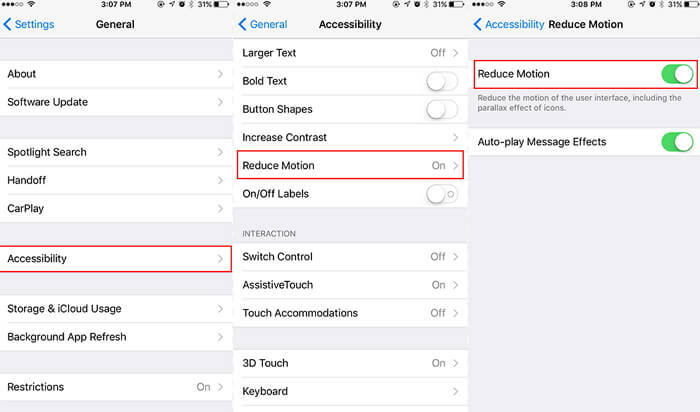 Navigate to General > Accessibility > Reduce Motion. Use the toggle switch to turn it on. 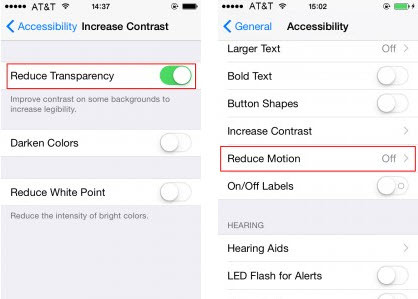 Now navigate back to the Accessibility section and tap the option called Increase Contrast. There, use the toggle to turn on the feature called Reduce Transparency.